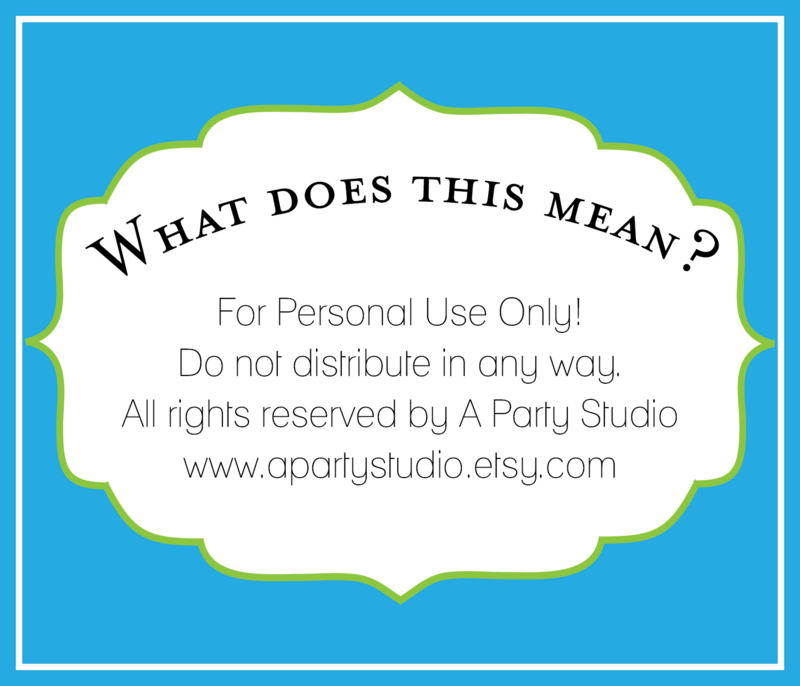 My goal for the month of July was to create a new look for my Etsy store. 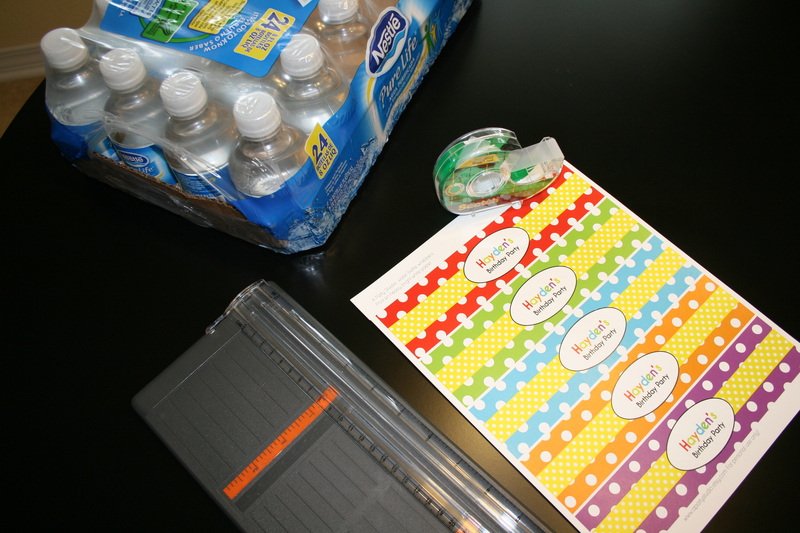 I knew the colors that I wanted and I knew that I wanted the logo to match my whimsical style. You’d think it would have been the easiest job ever because after all, who knows my tastes better than me? Ugh. Not so… after the stress of moving from Rhode Island to Florida and then going on a lazy family vacation for a week, my creativity was at an all time low. I took on a couple new projects for clients and that totally helped me get back into the groove. I am absolutely loving my new logo! Here is the new store banner and my Facebook picture! 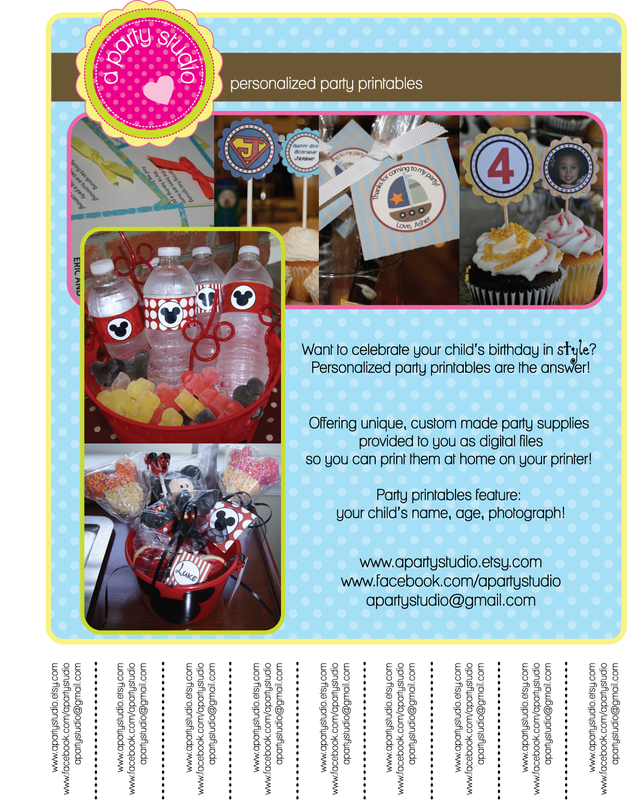 And I had so much fun creating a flyer for the business. I’m gonna get this flyer posted in various bakeries here in Pensacola, Florida. Isn’t it cute? Hope you like the new look as much as I do! 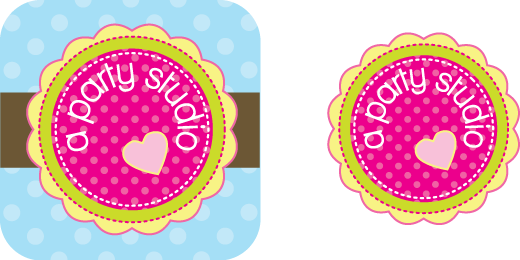 Finally, if you are on Facebook, make sure to LIKE A Party Studio!!! 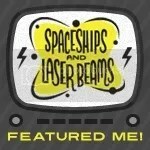 I usually announce all my latest projects on Facebook and also I will periodically announce promo codes on there too! And don’t forget to follow us on Twitter! 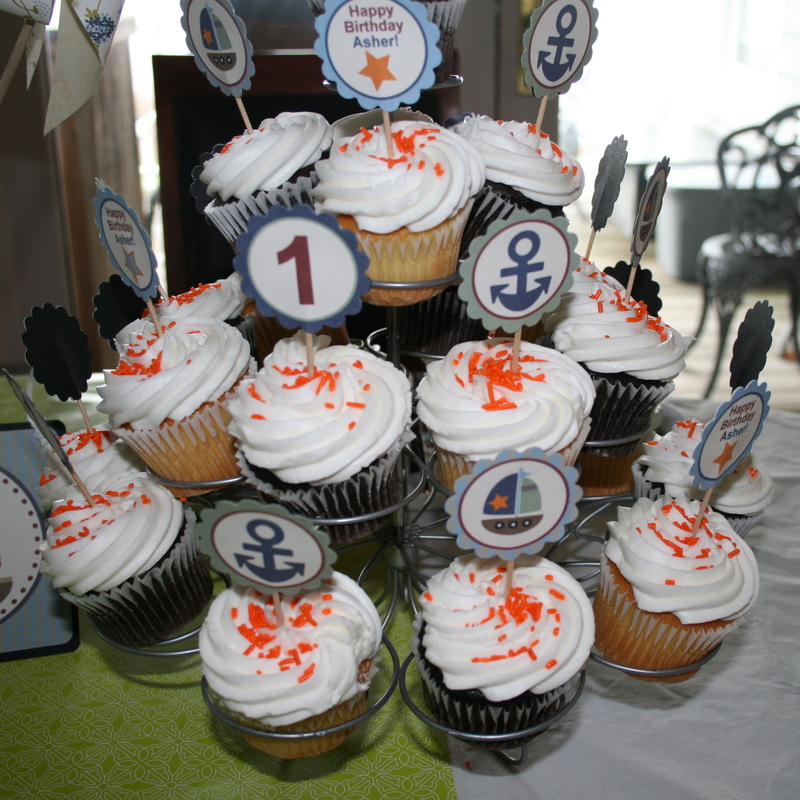 Just realized that I never posted actual photos from the Sailboat Birthday Party I threw for my son’s first birthday back in April! 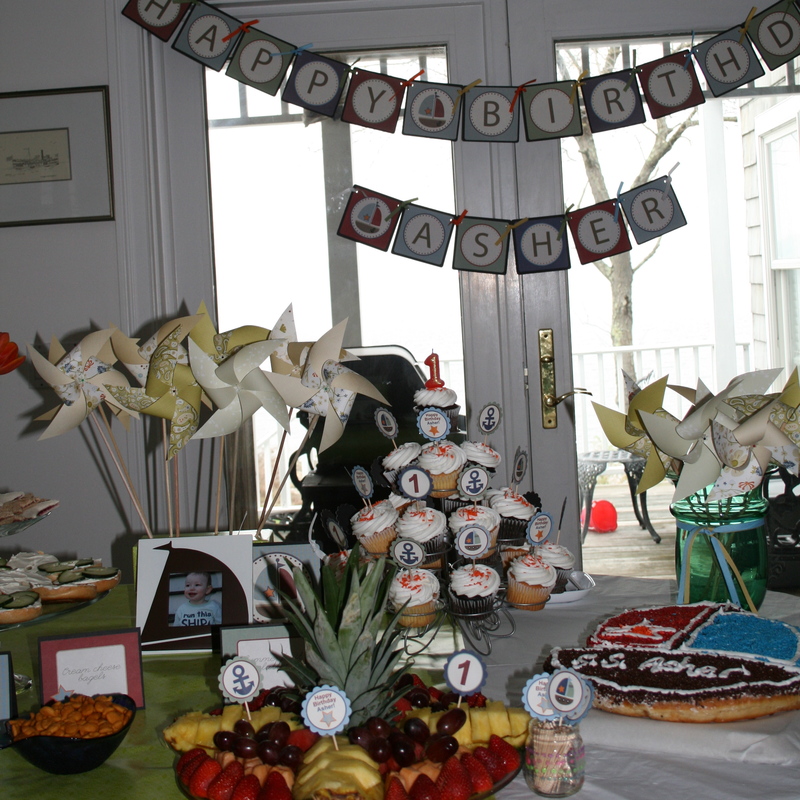 Here are some photos from the party. 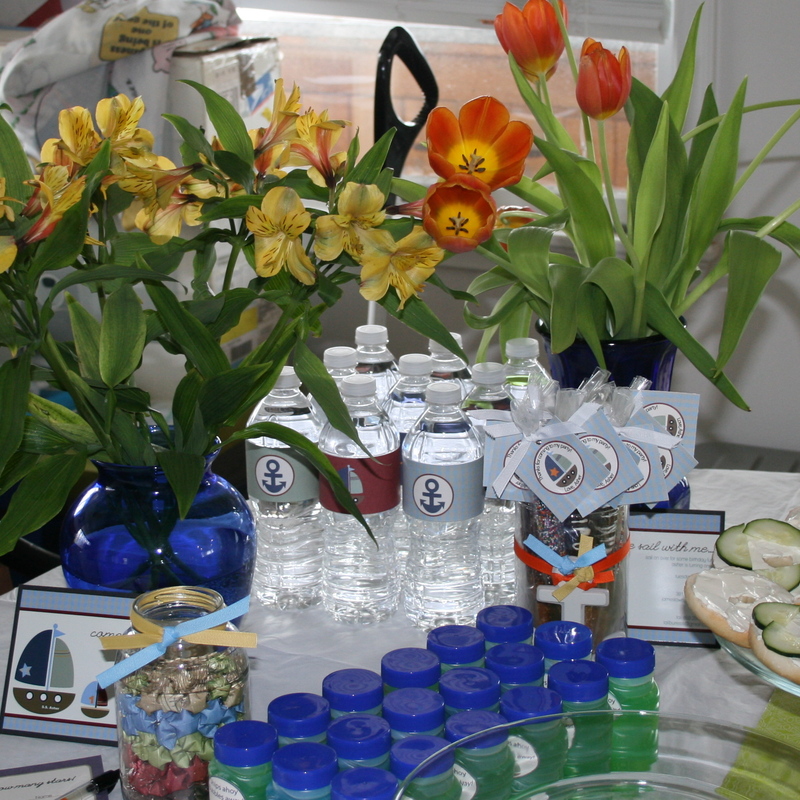 The colors for the party were navy blue, cream, beige, and sage green with accents of orange and dark red. A couple weeks before his party, I found a cute long sleeve t-shirt at Gymboree that said “I run this ship” and it had green stripes on it! How perfect! Of course, I had a welcome door sign to greet guests when they first arrived. The party was in the morning and most of the kids attending were very young, between 12 and 16 months so I wanted the food to be kid friendly but at the same time, appetizing to the adults. 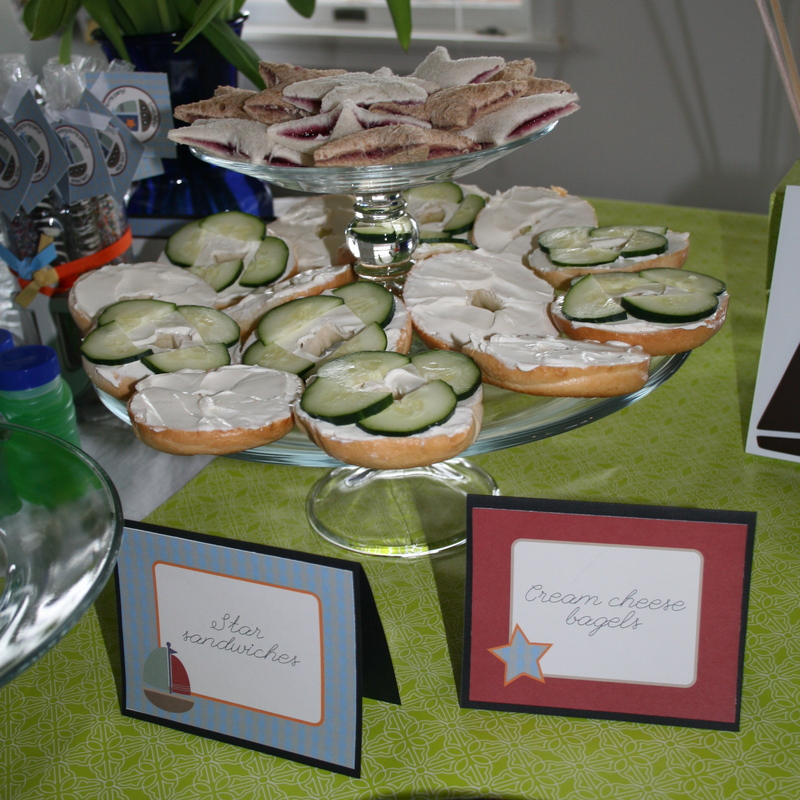 My menu was bagels with cream cheese, ham and cheese breakfast croissants, and star (jam filled) sandwiches. I put out goldfish crackers which went perfectly with the orange accents of the party decorations. For dessert, I offered a healthy fruit platter, both chocolate and vanilla cupcakes which were decorated with the personalized cupcake toppers. I also had a large doughnut cake from a local doughnut shop, Allie’s in North Kingstown, Rhode Island. I gave them a copy of the invite and they were able to match the sailboat. For the party favors, I made chocolate dipped pretzel rods. These were very easy to make and a lot of fun! I put each one in a clear pretzel bag (available at craft stores) and then added a personalized label and a bit of grosgrain ribbon. 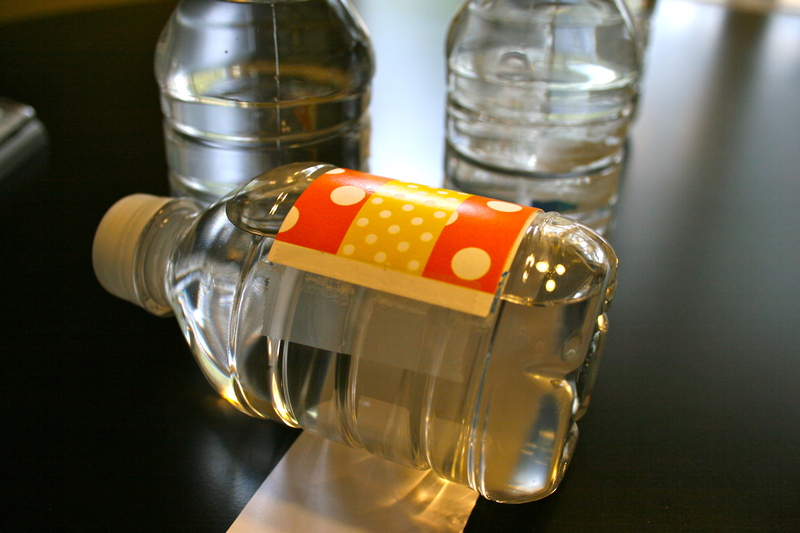 I also had bottles of bubbles with personalized labels on those. The bubble labels said “Ships ahoy! 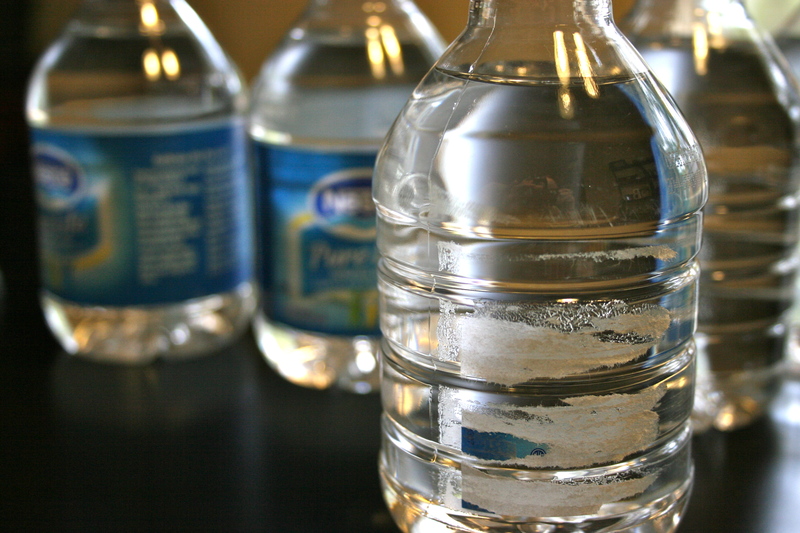 Bubbles away!” I also had Hershey bars of chocolate that I wrapped. I have done these every year for my daughter’s birthday and I am continuing the tradition with my son! 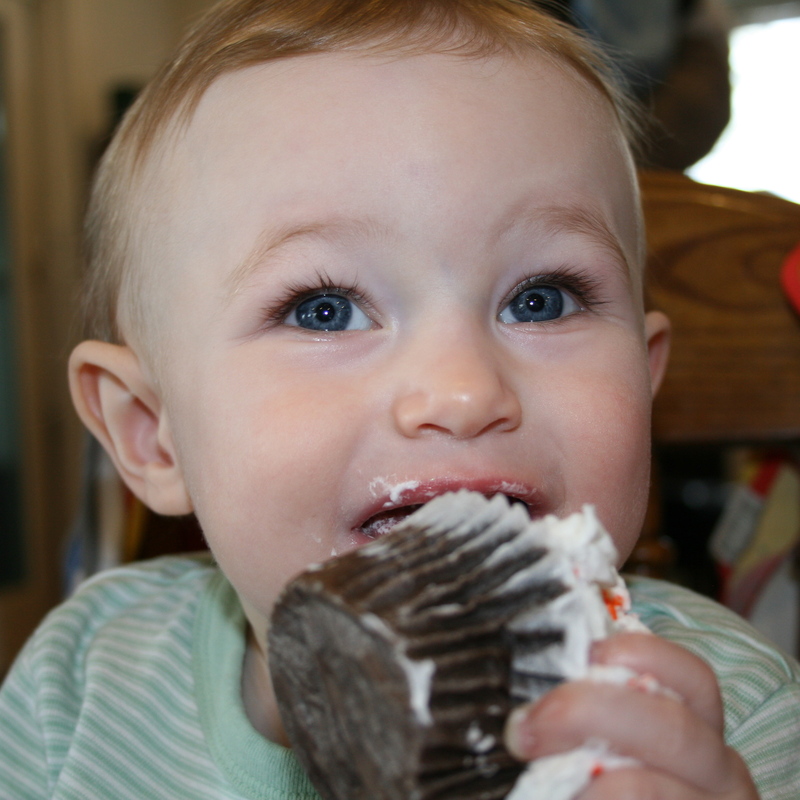 Finally, here’s a picture of the birthday boy enjoying his first ever cupcake! If you are interested in this collection, everything is available at my Etsy store. 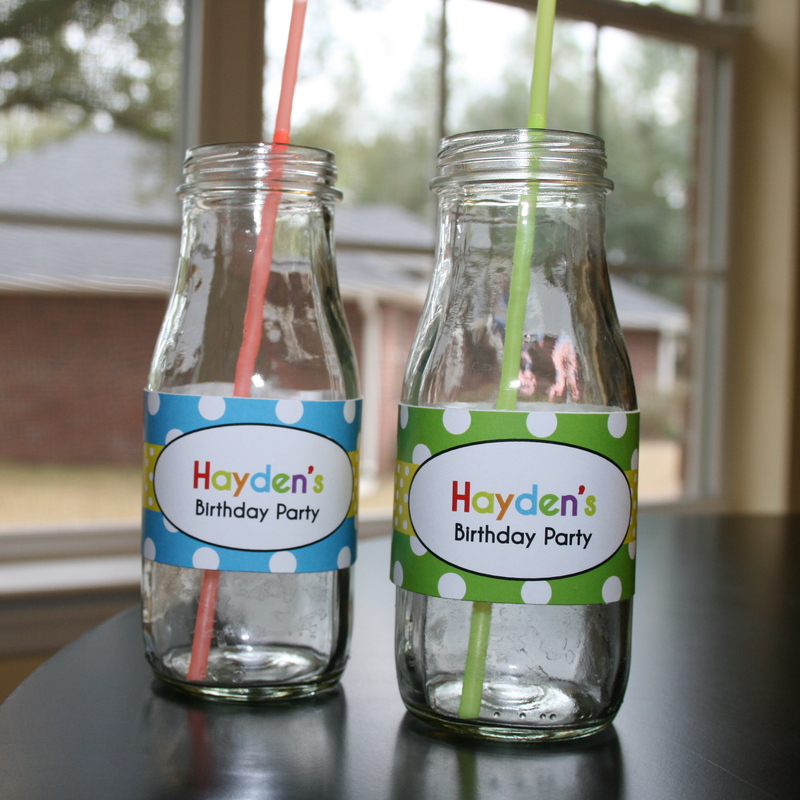 Also, if you wanted to use this for a baby shower, then I will be happy to change the wording for you! Send me an e-mail or convo me via Etsy!